(Lanka e News -02.Aug.2018, 9.00AM) The ceremony to felicitate Hon. 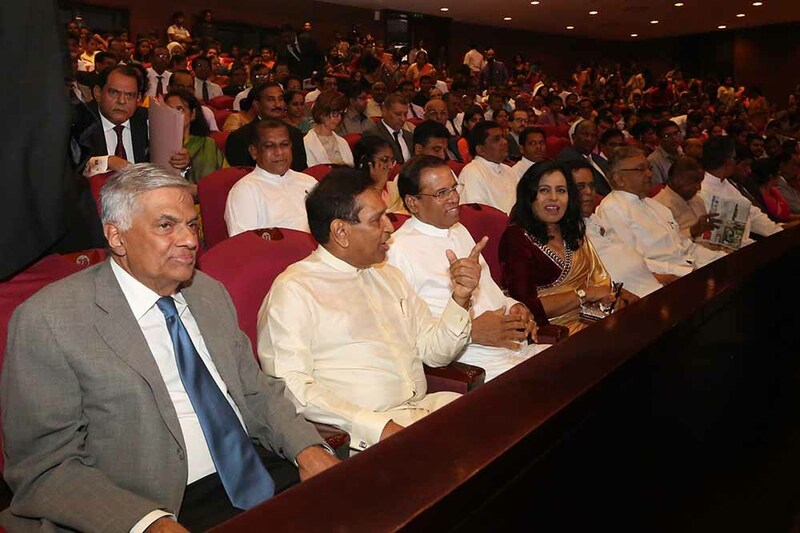 Minister of health , nutrition and indigenous medicine Dr. Rajitha Senaratne on his appointment as the new Vice president of the World Health organization (WHO) was held at the Colombo Nelum Pokuna hall last Tueday (31) . 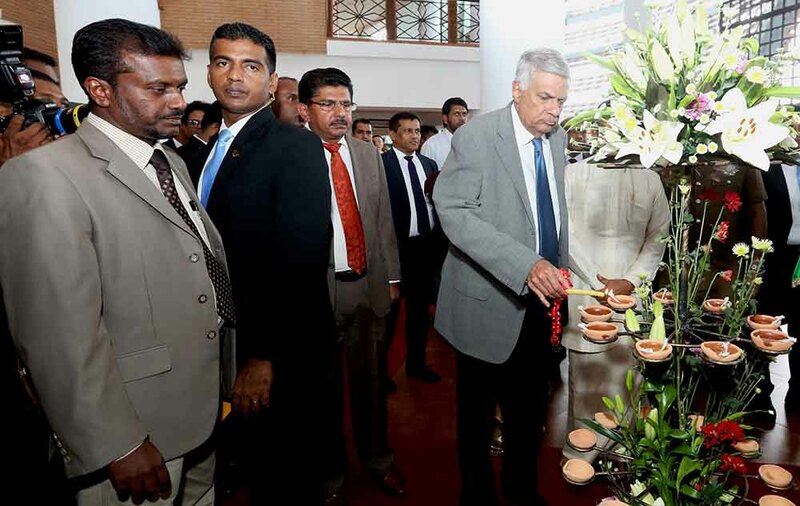 This function was attended by president Maithripala Sirisena , Prime minister Ranil Wickremesinghe with Dr.Ms. Rasiya Pense the local representative of the WHO as the chief guest. A number of invitees including minister of state enterprise , Kandy city development and leader of the house Lakshman Kiriella , minister of Christian affairs and tourism development John Amaratunge , minister of transport and civil aviation service Nimal Siripala De Silva , minister of Western province and Urban development Patalie Champika Ranawaka , minister of Buddha sasana Gamini Jayawickrema Perera, ministers and guests were present on the occasion. . The function was organized by the ministry of health , nutrition and indigenous medicine , the World Helath Organization and the Health service trade union federation . The decisions and actions taken by the health minister since he became minister were lauded at this function. Even the WHO acknowledged that the present health minister had done a lot for the public and introduced many measures for the immense benefit of the health of the people which none of his predecessors has been able to accomplish . The National drug Bill which was delayed for 40 years was enacted , prices of drugs were drastically slashed after defeating the drug mafia, stents were provided free of charge . It is the consensus during the short period of 3 years the minister had been able to accomplish a lot. There is a long list of them . In short he revolutionized the health service in SL. The WHO in recognition of the yeoman services minister Rajitha rendered towards the health service of the country , has by now taken action to donate a colossal sum of US dollars 200 million (Rs. 32 billion !) (not a loan) to the country . Rajitha was appointed as Vice president of WHO in May at the last annual session of the organization in Geneva. It is the view of political analysts that minister Rajitha has the eligibility , capability and suitability and much more even to be the president or prime minister of the country .